Visiting Nurse Group, Inc. (VNG) has earned accreditation from the Joint Commission on Accreditation of Healthcare Organizations (JCAHO)1, a national organization. In addition, VNG is also Medicare and Medicaid certified and licensed by the Department of Health and Human Services in the State of Pennsylvania. After in-depth, on-site surveys, VNG has been acknowledged as a leader in quality home care services. As a prestigious honor of Joint Commission accreditation, Visiting Nurse Group has obtained contractual agreements with insurance/managed care companies and various waiver programs in Pennsylvania. The following insurance companies have contractual agreements with Visiting Nurse Group: Aetna Better Health, United Healthcare, Health Partners Plan, Independence Blue Cross, Keystone First and Keystone Health Plan East. 1Founded in 1951, the Joint Commission on Accreditation of Health Care Organizations (JHACO) seeks to continuously improve the safety and quality of care provided to the public through the provision of health care accreditation and related services that support performance improvement in health care organizations. The Joint Commission evaluates and accredits nearly 17,000 health care organizations and programs in the United States, including approximately 9,000 hospitals and home care organizations, and 8,000 other health care organizations that provide long term care, assisted living, behavioral health care, laboratory and ambulatory care services. The Joint Commission also accredits health plans, integrated delivery networks, and other managed care entities. 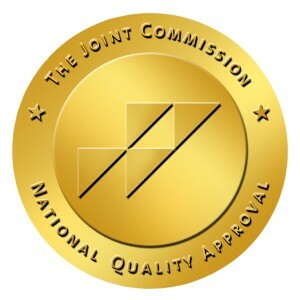 An independent, not-for-profit organization, the Joint Commission is the nation’s oldest and largest standards-setting and accrediting body in health care.